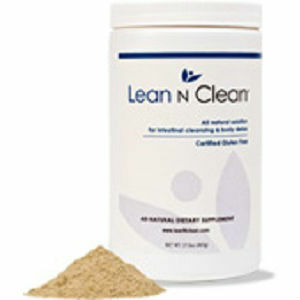 Lean N Clean regulates your bowels and cleans out your system. It can help with some of the hurtful symptoms of hemorrhoids such as burning, itching, pain and swelling. Lean N Clean can also help with constipation, Irritable Bowel Syndrome, Diverticulitis, Acne, Fatigue and premature aging. Lean N Clean was developed by a pharmacist and clinical nutritionist, it is made from all natural ingredients and allows your body to cleanse itself. Dandelion Root- Dandelions for many centuries have been used in chinese medicine traditionally and in some medicinal teas. It is a powerful natural indigestion remedy. Aloe Vera– Aloe Vera has been used traditionally to heal burns and wounds for years. Some recent studies have found it to be effective as a gentle chronic constipation remedy. Alfalfa- This is a plant from the pea family. It has been used as an herbal medicine for many of people over 1,500 years. It is very high in vitamins and minerals. It is used to treat disorders of the digestive tract and kidneys. Apple Pectin- Apple Pectin is a fiber that is used for lowering cholesterol levels. It can also help in maintaining a healthy intestinal balance by cleansing the intestines. Burdock Root- Burdock Root has been used for many of years as a purifier for the bloodstream. When used topically, it can help with acne, eczema, rosacea and psoriasis. Guar Gum– Guar Gum has been used as a bulk laxative, appetite suppressant and in the treatment of diabetes. Irish Moss- Irish Moss is a type of seaweed which contains a large amount of minerals. It can have mild anticoagulant effect on the blood, can be used to treat chronic lung diseases, dysentery, diarrhea and some disorders of the kidney and bladder. Magnesium Phosphate- This is a type of antacid. It is used in Lean N Clean to increase the alkalinity and neutralize excess acid in the stomach. Marshmallow Root- Marshmallow Root has high mucilage content and this makes it a great emollient. It is used as a soothing protective gel to help with irritation and inflammation of the mucous membranes. Milk Thistle- This is used to protect the liver against damaging agents. Psyllium Husks-Psyllium Husks are a fiber that can lubricate and cleanse the areas it passes through. It used to treat constipation and diarrhea. Slippery Elm Bark- Slippery Elm Bark lubricates and gets rid of irritation. The recommended dosage for adults is: Take Lean N Clean 2 times a day, in between meals, on an empty stomach. Add one level scoop or 2 level tsp to a 16 ounce glass of plain water and stir briskly. Drink immediately. You must also drink an additional 8 to 16 ounces of plain water immediately after drinking Lean N Clean. Lean N Clean is not intended to be used by children or pregnant/nursing women. Lean N Clean costs $49.95 and offers a discount of 10% if you refer someone to make a purchase, making this product look like the Avon of hemorrhoids. Lean N Clean provides a 100% money back guarantee, however the stipulations on this guarantee are almost unmeetable. The ingredients used in Lean N Clean are not proven to be effective, and with unproven ingredients, an unhonorable guarantee is a bright red flag. John Parker	reviewed Lean N Clean	on October 22nd	 and gave it a rating of 2.